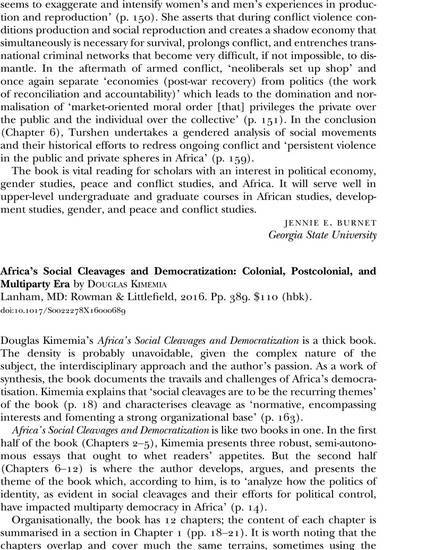 Africa's Social Cleavages and Democratization: Colonial, Postcolonial, and Multiparty Era by Douglas Kimemia Lanham, MD: Rowman & Littlefield, 2016. Pp. 389. $110 (hbk).